Camelot II is made with Advanced Protection® Technology, which is the hallmark of GAF products. Master Elite® roofers, including Homecraft®, would attest that it’s composed of thick layers of asphalt with UV-resistant granules to endure the toughest weather conditions. It doesn’t contain any unnecessary material, making every pound count in terms of performance. Further, Camelot II comes with StainGuard® Protection to guarantee resistance to pronounced blue-green algae discoloration. Meeting the requirements of ANSI/UL 790, it boasts the highest fire rating any asphalt shingle could attain. When applied with special installation practices, it can be warrantied to withstand winds of up to 130 mph. Camelot II sports artisan-shaped and oversized tabs to arrest the eye with its sophisticated charm. Its remarkable, dimensional appearance makes it one of the most attractive roofing shingles on the market. It’s one of the few GAF shingles available in Premium Color Blends. Developed through the lens of renowned color industry guru Patricia Verlodt, each of its hues has subtle blends with contrasting colors. Whether you go with royal slate or weathered timber, Camelot II can accentuate the distinctive personality your home’s architectural style is known for. Compatible with Timbertex® or Ridglass® Premium Ridge Cap Shingles, you can extend the enchanting beauty of the Camelot II up to your roof’s peak. Plus, its finishing companion delivers equally exceptional weather resistance to help lower your roof repair costs over the long haul. Most importantly, it won’t break your budget. Costing just slightly more than standard architectural shingles, Camelot II reconciles quality with affordability. 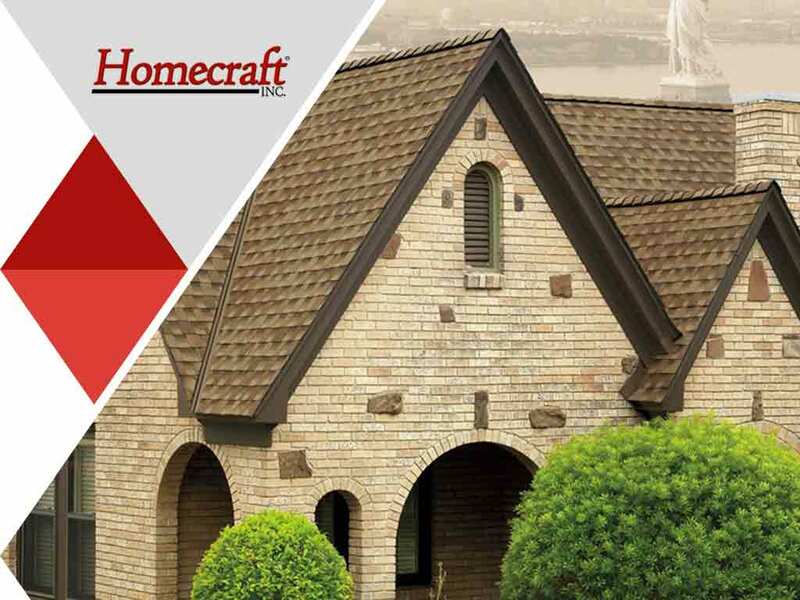 Set up your in-home consultation with Homecraft to learn more about Camelot II and other sought-after GAF products. Call us at (877) 494-0377 now to discuss your roof replacement project, and get e FREE estimate in Middletown, Bear or Newark, DE.